Registered participants will be guided through an episodic interactive narrative that functions as a simulator for training their PODs. Completing this three-part experience will guarantee the user a unique 3D-printed POD generated from their behaviour during the simulations. As the participant interacts with their POD’s training online, the system collects data that determines the size, shape, and nature of their physical POD. By November 1, the BMC Labs installation located in the CIBC Canadian Film Gallery on the 4th floor of TIFF Bell Lightbox will display the first series of “growing” PODs. Over the next three months, this inventory of PODs will increase as participants engage, allowing them to observe their PODs growing in the Lab. To execute the complex multi-media production, CFC Media Lab worked with Lance Weiler as creative director and pulled together a team of collaborators representing some of the most innovative North American companies and artists in the digital space. Also part of the team are 1188 Films, Aesthetec, Northern Army, composer Brendan Canning from Broken Social Scene, and more. Long-time Cronenberg collaborator Art Hindle as well as Joey Klein and alumnae from the CFC Actors Conservatory program, Diana Bentley and Natalie Krill are involved in the production. Tickets for David Cronenberg: Evolution  are on sale now. The exhibit runs from November 1st until January 19th (2014) – please see the TIFF event information page for complete information including show hours. Body/Mind/Change is a co-production between TIFF and CFC Media Lab, with creative direction and experience design by Lance Weiler. Presenting Partner for Body/Mind/Change is the department of Canadian Heritage’s Canada Interactive Fund  with support provided by the Government of Ontario. Executive producers are Noah Cowan, Ana Serrano and Shane Smith. Ana Serrano is the producer. 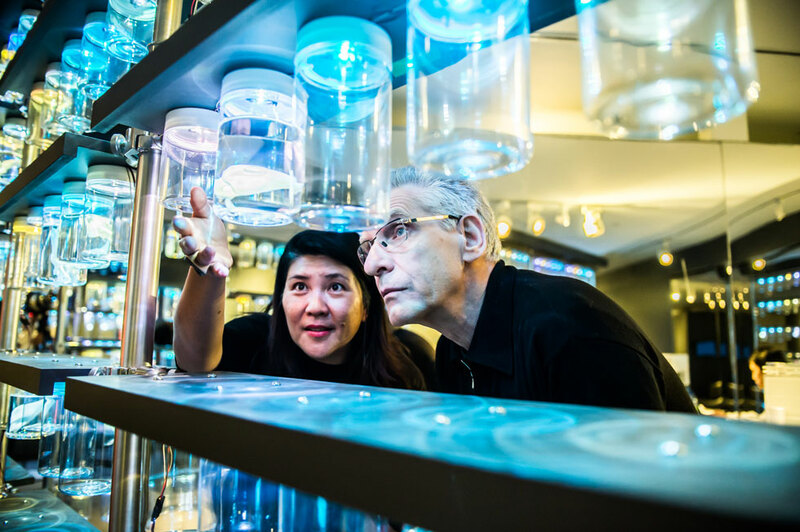 3 Comments To "BMC Labs Now Open For David Cronenberg: Evolution"